Dr Barton has a degree in Geology and Physical Geography and PhD in estuarine sediment transport processes. She worked for Environment Agency Wales for 9 years, culminating as the Water Quality Consents Manager for Wales. She emigrated from Wales in 1999 and now lives in Titirangi. An environmental scientist, campaigner, organiser, networker and environmental advocate, Mels works with many community organisations and not-for-profits including The Tree Council, Friends of Regional Parks, Revive Our Gulf and Living Wage Aotearoa New Zealand. 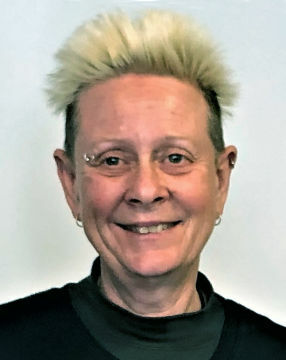 She is Chair of the Titirangi Residents & Ratepayers Association and the Combined Waitākere Ranges R&R Group and is a former Trustee of Ecomatters Environment Trust and the Weedfree Trust. She has been the National and Auckland Coordinator of NZAEE Seaweek since 2011 and is a leading member of the Waitākere Rāhui campaign and the Kauri Rescue project team. Mels runs her own consultancy business Subliminal Ltd which enables her to work on many environmental projects including Seaweek, and the citizen science initiatives Kauri Rescue and Marine Metre Squared. She recently spent 5 years working for Te Atatu Labour MP and Housing Minister Phil Twyford as his Issues Assistant. is the Pro Vice-Chancellor of the College of Humanities and Social Sciences at Massey University. 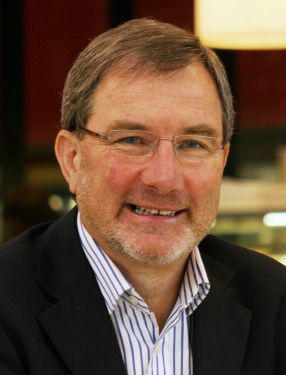 He has been involved in some major research projects on immigration and diversity in New Zealand, including Capturing the Diversity Dividend of Aotearoa New Zealand (2014-2020). He is the author or editor of 27 books ranging from political extremism to the nature of work, and he was Ranginui Walker’s biographer (Mata Toa, Penguin). He is a Fellow of the Royal Society of New Zealand and the Auckland War Memorial Museum. He was a Fulbright Scholar at the University of California Berkeley. We enjoyed the second presentation on Aging by Dr Paul Spoonley. Thanks to Dr Spoonley’s generosity this presentation and his earlier one can be viewed by all our members. His March presentation highlighted future economic problems in New Zealand as the over 65 cohort rapidly increases over the next decades while both the numbers in paid employment and the birth rate decrease. Dr Spoonley’s earlier talk had emphasised the importance of immigration to help slow this imbalance. The March talk also noted how keeping mentally, physically and socially active can help older people stay healthy longer. U3A is significant for the mental, physical and social benefits it can bring to our cohort. Keeping U3A strong is not just a nice thing to do; participation in U3A is critical for our long-term well- being and good health. 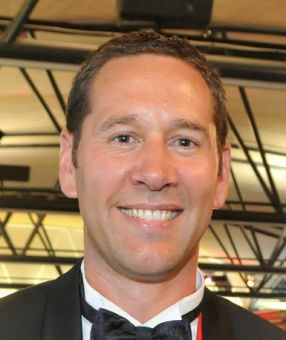 April 2019 Main Speaker: Daniel Newcombe "Auckland Transport Strategic Projects"
Daniel is the Manager of the Strategic Projects team in Auckland Transport’s Strategy Division. He has a degree in Town Planning and Masters in Engineering and worked for transport agencies in Auckland and London for the last 20 years. His current work includes strategic planning for the city centre, plus working on light rail, the next harbour crossing and other major projects that affect the central area. Daniel has been at AT for 8 years and has worked on projects from the Waterview tunnels to cycle lanes and bus priority. He currently leads AT's business case development for Northwest light rail, ferry development, the future North Shore rapid transit network and various corridor projects. Finally Daniel works closely with Auckland Council on city centre planning, such as the pedestrianisation of Queen St.
After naval service, Rod Martin completed a Certificate in Engineering, and then entered Auckland University, earning BSc and MSc degrees in Geology, gaining first class Honours and two prizes for his study on the movement of aluminium in acid thermal areas. Rod has continued his association with the university, giving occasional lectures. He is a life member of the Geochemical and Mineralogical Society, and a member of the NZ Geosciences Society and the NZ Royal Society. His research interests include the identification of processes that form sulphates at the surface in low-temperature environments, and the zeolites of the Parnell Grit Formation and other NZ mineral occurrences. Rod has been a member of the North Shore Rockhounds Club for over 20 years. In 1990 he went to his first micro-mineral symposium in Northland. Since then he has taken a major role in the micro-mounting scene in New Zealand.